Product categories of Bird Feeder, we are specialized manufacturers from China, Bird Feeder, Luxury Bird Feeder suppliers/factory, wholesale high-quality products of Food For Birds R & D and manufacturing, we have the perfect after-sales service and technical support. Look forward to your cooperation! Enjoy Nature From the Comfort of Your Home! - Feed and watch wild birds in your own backyard! - Richina Classic Tube Feeder is great for attracting smaller birds like finches, chickadees, titmice, nuthatches, junocs and more! - A great gift idea for parents, nature lovers and children. - Maintaining the feeder by ensuring it is well stocked becomes an enjoyable activity that`s great for keeping elderly busy or teaching young ones responsibility. - The feeling of joy and satisfaction that comes from feeding hungry animals is priceless. - Premium grade hard plastic will keep your seeds safe and secure. - Well-spaced feeding ports allows for multiple birds to feed simultaneously. - Enclosed seed housing keeps up to 4 cups of seeds fresh and dry preventing moldy buildup which is harmful for birds. - Clear housing lets you see when it`s time to refill seeds. Simply raise up the top lid to refill. - Contoured base ensures that seeds are distributed towards the outer walls. 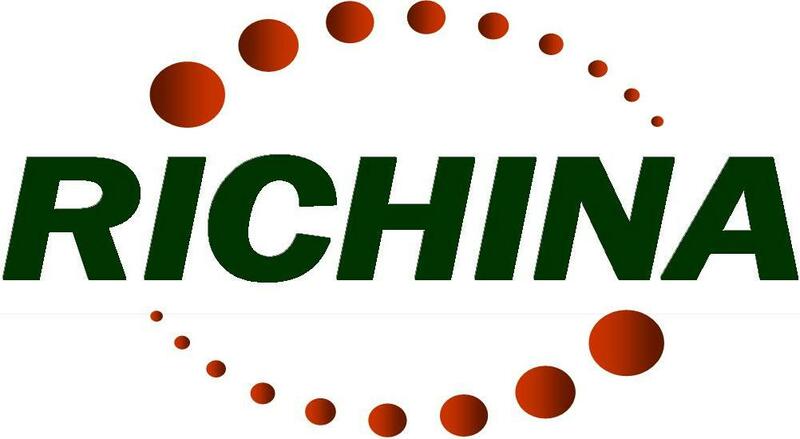 - Designed by the brightest minds, utilizing only the highest quality materials and expert manufacturing methodologies, Richina offers premium products for your lawn and garden while exceeding highest industry standards and offering impeccable customer care.